Our goal is to understand the complexities of adult learning environments and the needs of learners. We believe that we can use our more than 20 years experience in Education to create innovative strategies to training and assessment. To support and engage teachers, trainers and organisations in the Vocational Sector in the use of technology that enhances the optimal outcomes for their learners. To design, develop and adapt new technologies for learning that enhances learners outcomes in emerging job markets. We provide customised training for teachers, trainers and organisations to enhance their skills and the outcomes for their learners. Maximise cost effective technologies to enhance the learner experience and delivery of courses. Provide opportunities to create knowledge networks for VET professionals for continuous improvement. To provide support for innovative course design that considers learners; from diverse background, languages, LLN abilities and ages. We provide support for compliance and validation with all stakeholders in the design of courses. We work closely with clients to assist them in identifying key areas of assessment and validation that are mapped to unit requirements and industry standards. Providing efficient and same day support to clients to meet their concerns is a priority. We can provide services for the ongoing support to trainers as they develop their skills as a result of our training. How can we assist your classroom, business or RTO? Kathryn has been an educator for over twenty years. She has much experience in teaching VET learners from disadvantaged backgrounds and the traditional trades. She has delivered accredited Professional Development training for 8 years in VET. 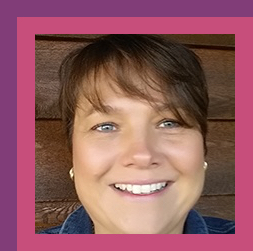 Coaching and mentoring teachers to blend technology is her passion and she is a regular presenter at International, National and local conferences. With over 20 years of experience in VET training across a range of industries we can deliver technical support, technical writers, project management, customised educational videos, consultancy for education technology and compliance. We have grown to meet the growing demand of industry in its adoption of technology for training. We employ professional and intelligent educators, designers, and specialists to ensure that each project is guaranteed the expertise it deserves. We maintain currency with professional development and a strong network of connections with other professionals in the field so there are no restrictions on what we can provide.